“In god we trust….all others pay cash”. Cliché? We think not. It is estimated that for every 10 relocations, corporations are being over charged $10,000 to $30,000. How do you create an effective balance between trusting your suppliers and auditing their invoices? Trust them to manage your relocations to maximize your corporate mobility goals, yet create a thorough audit process that ensures you are being charged fairly for services rendered. Great suppliers will not be offended, weak ones will be insulted. Good oversight is an essential element of a financially sound and efficiently run program. And while internal audits are useful in achieving internal objectives, they do not provide a client with an independent and objective review that supports the supplier’s credibility and the client’s confidence in the services received. Who should audit suppliers such as movers? Moving services are often provided through a subcontractor within a relocation company’s supplier network. Is it in the best interest of the client to ask the relocation company to perform an audit of these services? In our opinion, it is not and the following explains why. Typically, relocation companies are receiving revenue from moving companies. This revenue is based on the cost of the move, i.e. the higher the cost, the higher the revenue. With this arrangement, deterring unscrupulous invoicing could lead to a reduction in their income, a factor that clouds the relocation company’s objectivity. Audits performed by relocation companies on behalf of clients are generally limited to simple verifications, such as whether the item count was accurate and the correct tariffs were charged. While these activities are important, they rarely result in any financial loss or gain to any of the parties. Because of the prevalence of outsourcing, the level of expertise within many corporate relocation departments has been eroded, providing opportunity for inflated or erroneous charges to pass through without notice. 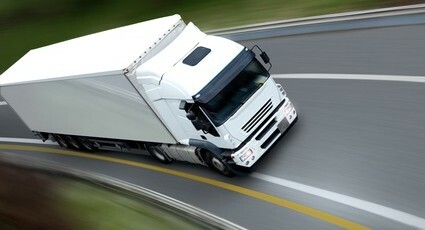 If drivers, packers and other suppliers are not managed effectively, additional charges can increase the cost of a move to well over what was estimated or can be reasonably be expected, and usually with little recourse available to the client once the move is complete and invoice presented. All this points to the need for more detailed audits that are performed by an independent firm able to objectively review all aspects of the service, ensuring transparency, as well as financial and operational efficiency. What should a supplier audit include? Checked against a distance calculator. Light weight of the vehicle is subtracted from the heavy weight of the vehicle to determine the weight of the shipment. Full weigh scale review looking for times and dates, location, and other possible inconsistencies indicating weight bumping. Detailed calculation of weight based on inventories checked against estimator’s cube sheet and weigh scale tickets. Review of accessorial charges against tariffs. Reasonableness check of overall charges and whether any could have been averted or reduced through alternative means (e.g. storage). Verification of whether services were necessary. Verification of rates charged as compared to tariff rates. Review of these items if they appear on an invoice and determination as to whether they should be covered in the overall transportation rates. Very little, if any checking of inventory lists and estimates are performed. This could result in movers shipping patio stones, firewood, etc. which can increase moving costs extensively. Review of estimates, inventories and invoices for evidence of inadmissible items and services. What are the benefits of a thorough and independent audit? In files audited, we regularly find errors in 25% to as much as 75% of their content. Corrections have resulted in savings ranging from 10% to 25% of total amounts invoiced. Inadmissible items: A poorly prepared estimate will mislead a mover who is only too eager to load up as much in the truck as possible and get paid for the higher volume. Checklists and/or policy summary sheets clearly indicating admissible and inadmissible items would go a long way to ensuring everyone is on the same page. Scaling process: This is a key area requiring increased accountability. Most relocation companies do not communicate or enforce any scaling policy, leaving clients vulnerable to “weight bumping”. One of many examples of weight bumping involves having the truck fueled after obtaining the light weight and before obtaining the heavy weight. Once errors are uncovered, processes can be improved and aligned with policy provisions in order to mitigate the risk of reoccurrence. As an example, the employee counselling process is often reviewed with a focus on how to provide clear instructions to movers. Moving is a very stressful event for employees and their families, and they rely on the service network to guide them through the process. Clarity and alignment at all levels will eliminate needless frustrations and lead to higher employee satisfaction. As long as it is party to agreements that have their revenue linked to their supplier’s, the relocation company cannot be seen as completely objective when performing a supplier audit, no matter how well intentioned it may be. Truly effective audits must be performed by an entity that is completely unrelated to the supplier network and has no interests linked to the results. They must also delve into all aspects of the operation. Ward O’Farrell Consultants has extensive experience performing audits. The firm has no ties to relocation companies or to suppliers and operates solely on a fee-for-service basis.